From Corps Director, Paul Bongiovi . . . . The Caballeros Alumni Drum & Bugle Corps currently has openings in all sections of the Corps. If you have the desire and want to fulfill a lifelong dream, now is the time to get on board. For our 20th Anniversary in 2014, we fielded the largest Cabs Alumni Corps in our then 20 years of existence. We are looking to be even bigger and better in 2019 as we celebrate the 25th anniversary of the Hawthorne Caballeros Alumni. If you think you have one more year left in you, consider doing it wit the Cabs Alumni Corps. Check the calendar page of this website for rehearsal times and locations. Come and be part of this great Alumni Corps. Who are the Caballeros Alumni Corps? Organized in 1994, the Hawthorne Caballeros Alumni Drum & Bugle Corps is now in its 25nd season. Representing American Legion Post 199 of Hawthorne, New Jersey, the Alumni Corps celebrates an earlier era and the proud tradition of one of the all-time great senior corps, the world-famous Hawthorne Caballeros. 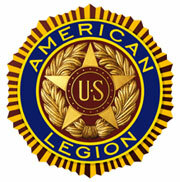 The Alumni Corps is staffed by many of those who were there when those sixteen American Legion National Championships and the nine DCA World Championships were won.